Dave Meyer is the Jira Senior Product Manager at Atlassian, and he and his team attended last year’s Product Management Festival. Read on to see what they thought of last year’s Festival, how he went from product marketer to product manager, and what it’s like to bring products to market without a sales team. Thank you for attending our conference last year. How did you find it useful to you and your team? This was my first time attending a conference exclusively focused on product management. The most useful aspect was that the conference served as a measuring stick for me to assess many of my team’s practices and see how they compared to many of the industry-leading companies in attendance. Since product management can be interpreted so differently and change depending on the company, it was great to see what other product managers were focused on and how they could approach their work. Additionally, meeting product managers from across a wide range of industries gave me some new perspectives on how to approach problems. 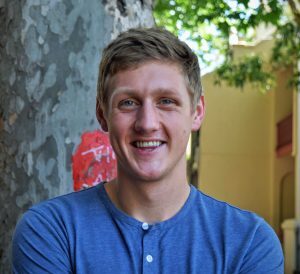 How did you come to be a senior product manager at Atlassian? I started my career at Atlassian in product marketing, not product management, but my timing was really fortuitous. I joined the same week that we launched the Atlassian Marketplace, which is our app discovery and purchasing platform for add-ons for Atlassian’s products (Jira, Confluence, HipChat, and Bitbucket). I was the first person working on marketing for our Marketplace, which gave me a ton of opportunity to try out all kinds of new tactics. Both working with our ecosystem to sell apps on the Marketplace and helping Atlassian customers find and buy them were brand new areas for us, which gave me a ton of space to experiment. Since we were marketing the “store” and not a specific product, we spent a lot more time optimizing user journeys on the Marketplace site itself rather than traditional marketing tactics like display ads. All that optimization meant that, before I knew it, I was doing a lot more product management than “marketing” per se. After a while, I realized that if I wanted to take the next step in my career, I had to take on the hardest challenge available to me at Atlassian – so I moved to Sydney and joined the Jira team. Even though Jira is a well-established product, it’s still growing extremely quickly, which means that the team and the challenges are scaling as well. Needless to say, this has meant I’ve had a lot of opportunities to make an impact and build my PM skills. Having so many customers using a product in so many different ways, especially for enterprise software, is quite the product management challenge. Could you share a couple things you love and/or find challenging about your job (and/or industry)? The hardest thing about product management is that doing the right thing for your customers means that you’re saying “no” to them 95% of the time. Our job as PMs is to look across the needs of all our customers, from our oldest, largest, most experienced customers to the customers we don’t have today but hope to acquire in a few years time, and make the right investments today. And that often means you’re saying no to a lot of good ideas, over and over again. That can cause a lot of frustration, and it can shake the confidence in your decision making. The moments when I absolutely love my job are the inverse – when customers come up to me at our Atlassian Summit user conference or our Atlassian User Groups and tell me how Jira has spread like wildfire in their company, how they’re sharing and collaborating across their teams. I love hearing stores about all the different ways people are using our products. A lot of companies say they’re “customer-driven” but their definition of the customer is the one person in the company that’s making the decision to purchase the product. Connecting with the actual users of your product on a human-level and hearing their stories is when product management is most fulfilling. Atlassian is known for not having a sales team. Product managers often have multiple inputs for learning about what customers want, sales team being one of them. How do you think not having a sales team affects your team’s ability to continually providing hit products and features? It certainly makes product management at Atlassian unique. It creates a challenge, since for many enterprise software companies salespeople are the face of your company to customers. The fact that we don’t have a sales team means that many of our customers have never had a conversation with anyone from Atlassian. It’s one of the reasons why our events and user groups are so important – it’s our chance as product managers to evangelize directly to our customers face to face. It also forces us to be more reliant on a lot of other sources of data to answer “what do our customers want”: usage data, customer feedback, usability testing, feature requests, support. Good sales teams do a good job of synthesizing a lot of different customer needs and presenting patterns to product management – without a sales team, we product managers have to do a lot of that synthesis ourselves. On the other hand, we never get into situations where salespeople make commitments that the product team can’t meet. We never get into situations where we hear “If you just built this one feature, I could close this deal for X amount of money.” And most importantly, we can be in a position where product management can be 100% focused on customers satisfaction and active usage of our products, because we have a proven business model that shows that the more satisfied our customers are, the more Atlassian can expand with new products and larger licenses. It allows me to be laser focused on NPS and active usage, instead of revenue. Are you working on anything new that you can share with us? We welcomed Trello into the Atlassian family recently by launching new power-ups to integrate Trello with Jira, Confluence, Bitbucket, and HipChat. We also recently introduced a new Jira Cloud app for Slack, which makes it substantially easier to connect Jira projects to your Slack channels. But perhaps most importantly, we’re in the process of rolling out an all-new look and feel for Jira Cloud. A small number of customers already have it, and we are going to ramp up across all our Jira Cloud customers over the next few months. The new look and feel is one very big step in a long list of improvements we’re working on to make Jira Cloud (and all our Atlassian Cloud products) easier to get started with, simpler to navigate, and more integrated from app to app. Dave will be presenting at this year’s Product Management Festival on product management in a DevOps world. Meet Dave and other product experts at PMF17.